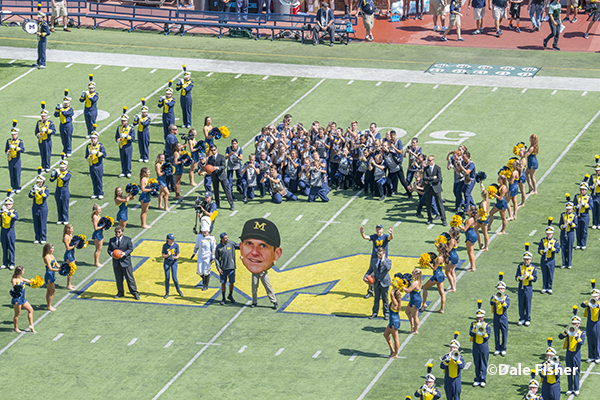 110,222 Wolverine fans came out to kick-off the football season on August 3, 2016. 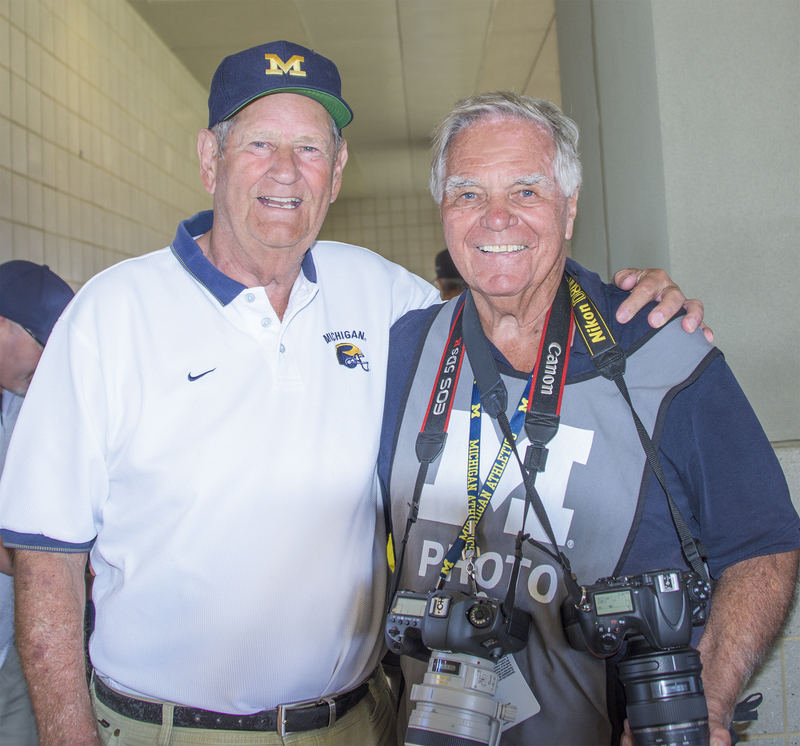 The very sunny and very warm day caused no challenges to the Wolverines as they defeated the Hawaii Rainbow Warriors 63 – 3. You can feel the excitement in the air. 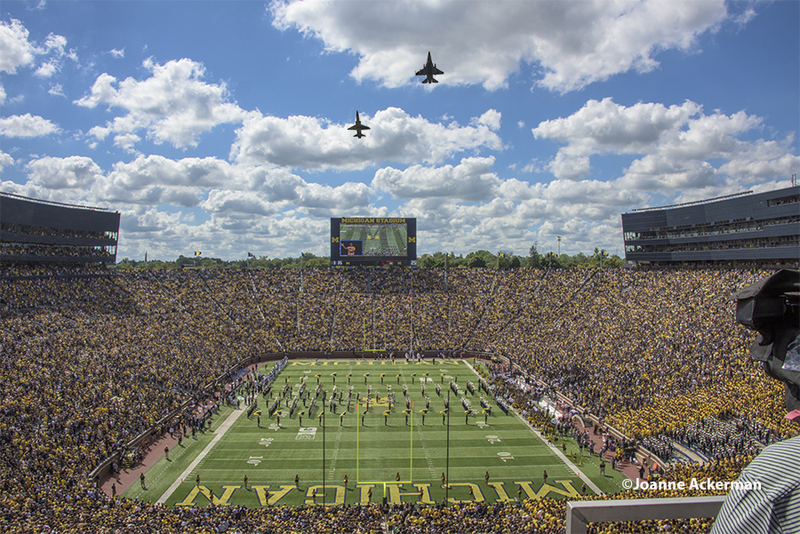 Game day is like a ritual in Ann Arbor and for us. We never seem to get there early enough to get more pre-game antics. 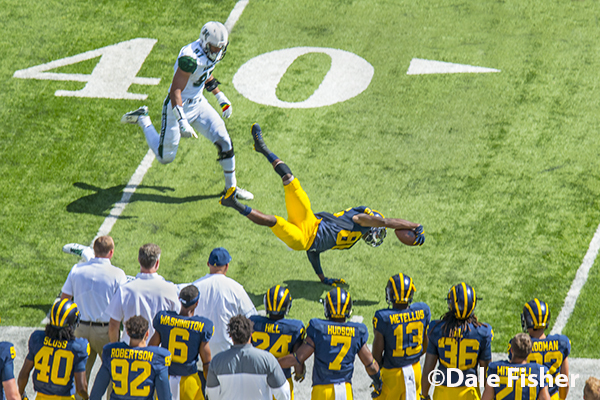 Enjoy these photographs… We plan to be in the air on Saturday’s game against Central Florida. So we’ll have photographs from Dale’s ‘Eagle Eye’ perspective. 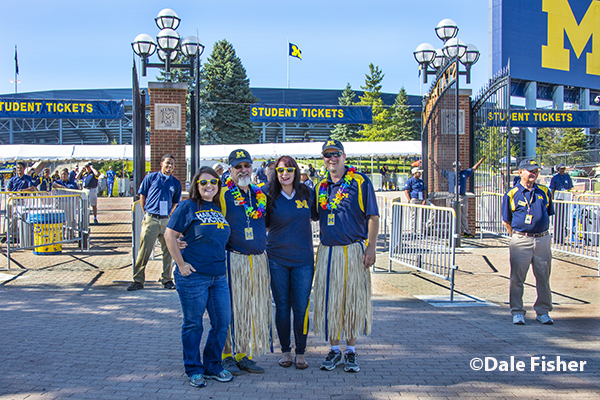 U of M Event Team welcomes visitors to the 2016 opening game. 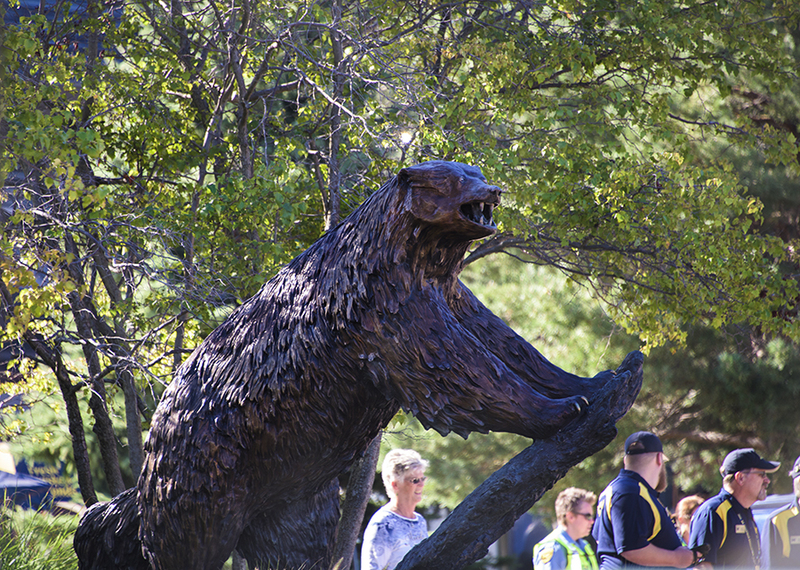 Michigan’s mascot, the Wolverine welcome Michigan Fans to the 2016 opening game. 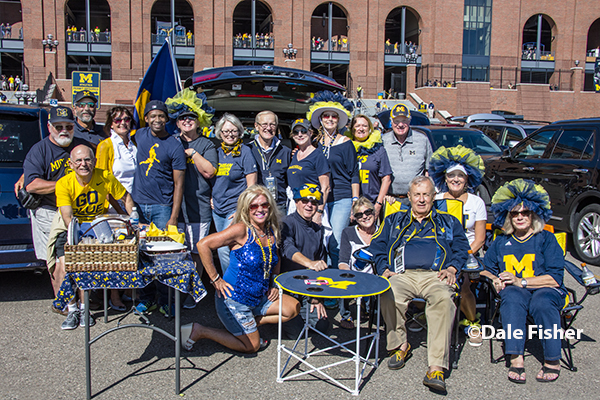 The Junge Family take time for a photograph as they tailgate before the 2016 home opener. 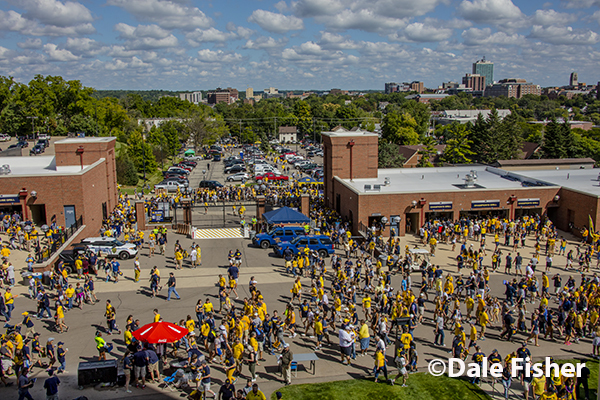 Michigan Fans in and out of Michigan Stadium before the 2016 home opener. 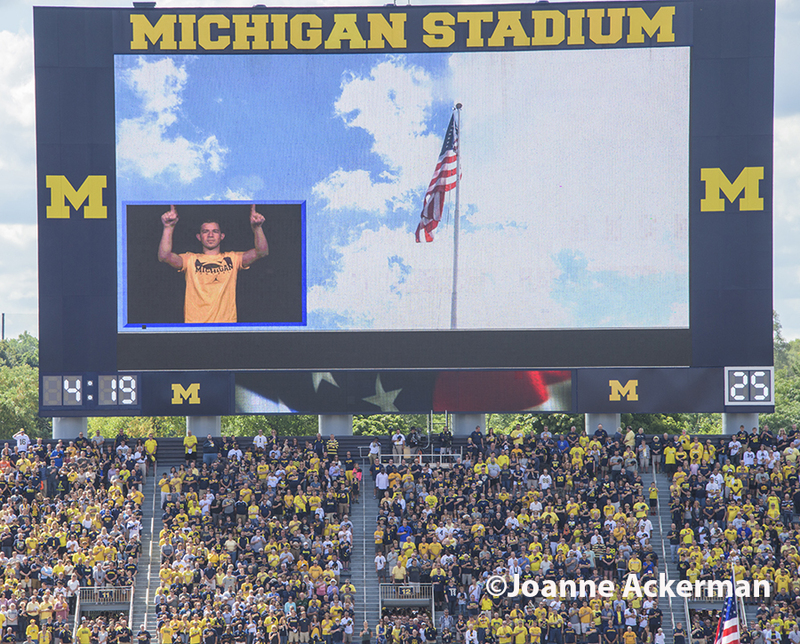 The American flag is being raised as the University of Michigan Marching Band performs the National Anthem, which is being translated into sign language and displayed on the scoreboard. 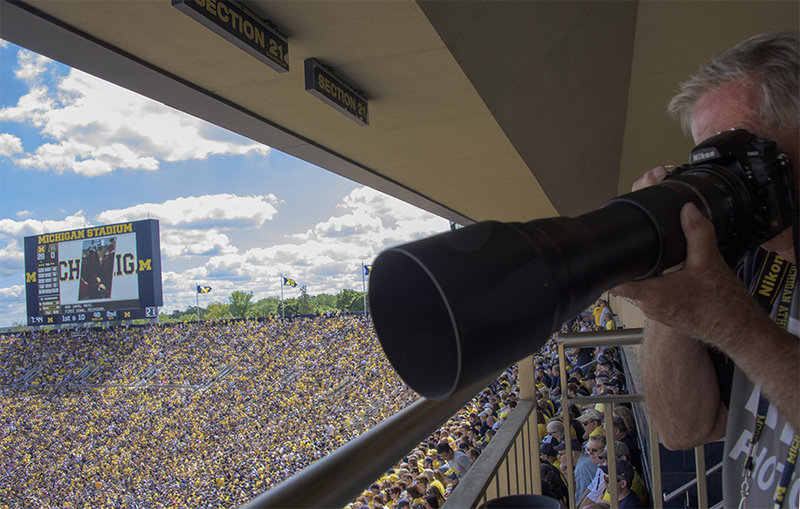 Dale Fisher photographing the 2016 season opener of Michigan vs Hawaii. Michigan Marching Band halftime show-“The Recruit” utilizes some unique recruiting strategies. More photos and blogs soon.